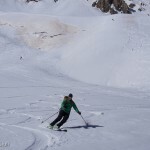 WHEN: 6 days on skis, from february to mid april. 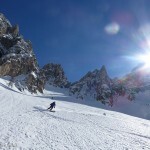 COSTS (VAT included): 850 € pp with a group of 4 participants. 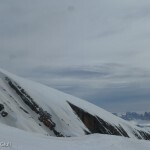 NOT INCLUDED: lift passes, transfers as per itinerary, accomodations, meals and extras. 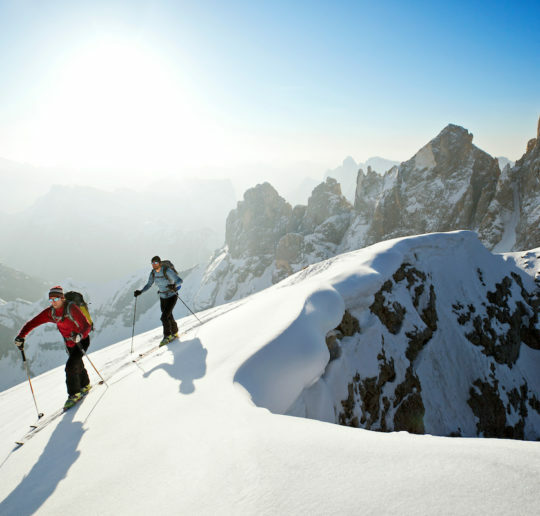 The Dolomites, thanks to great connections in between ski resorts and a system of comfortable and cozy mountain huts, they offer amazing opportuinities to set up hut-to-hut trips, combining the skiing off-piste served by lifts with some ski touring sections. 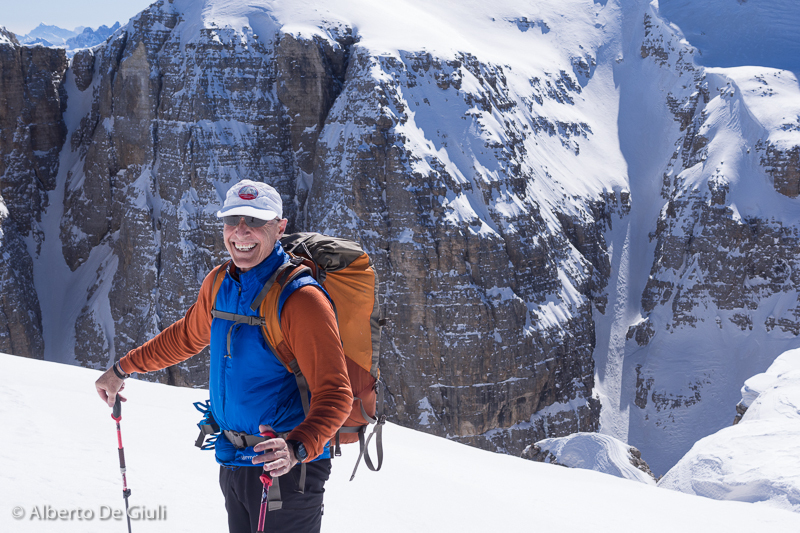 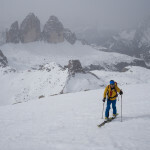 My plan is for 7 days on the skis for the Dolomites Haute Route, starting south west from Pale di San Martino range to finish around Tre Cime di Lavaredo in the north east of the Dolomites. 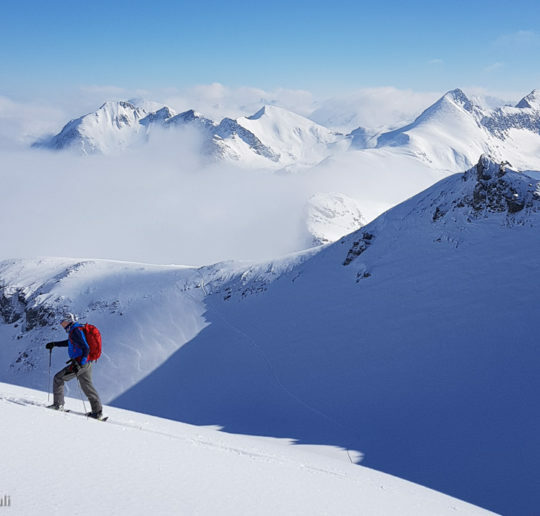 This Haute Route is a combination of off-piste skiing served by lifts with days where you need to climb up with skins, like a proper ski touring trip, but the vertical gain with skins does not exceed 700m a day, so it is accessible to anyone with fat skis, more downhill oriented (ski touring bindings like Marker Kingpin or Dynafit are good solutions for a lighter but still performanced quiver). 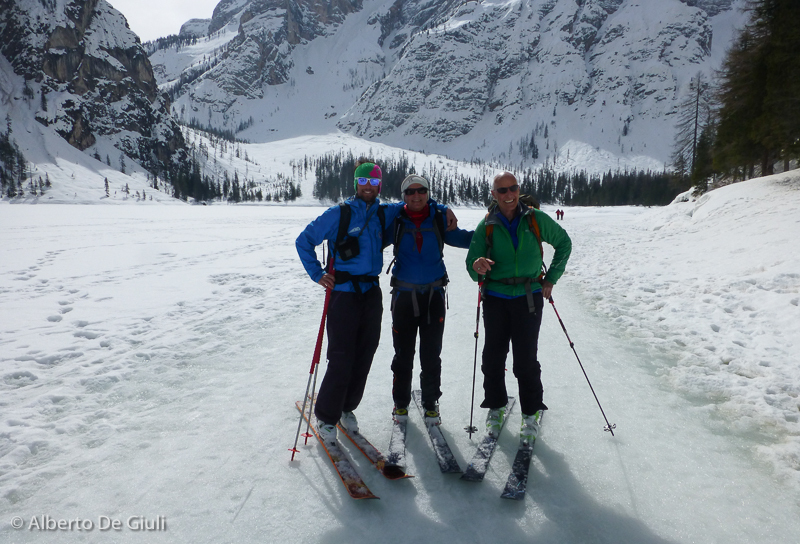 The Dolomites Haute Route is not only an incredible adventure on skis, it’s gonna be a food experience as well. 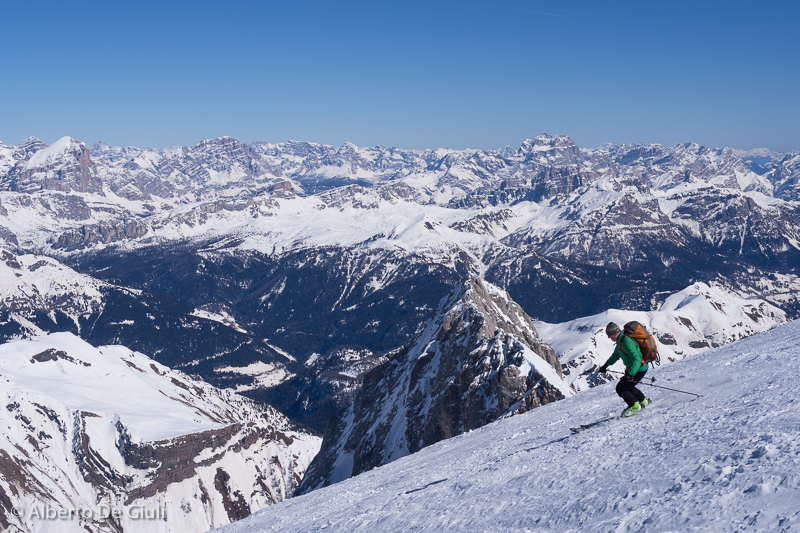 Everybody knows about the italian food culture, everyday you have the chance to taste the best mountain recipies, lunch time and dinner. 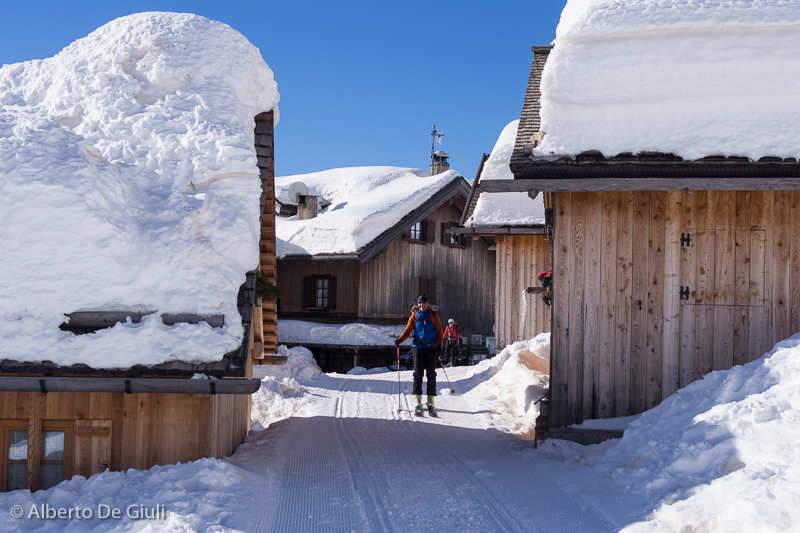 The meeting place is in Falcade, a little village in the “Tre Valli” ski resort. 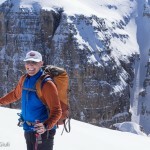 Gear check and trip brefing. 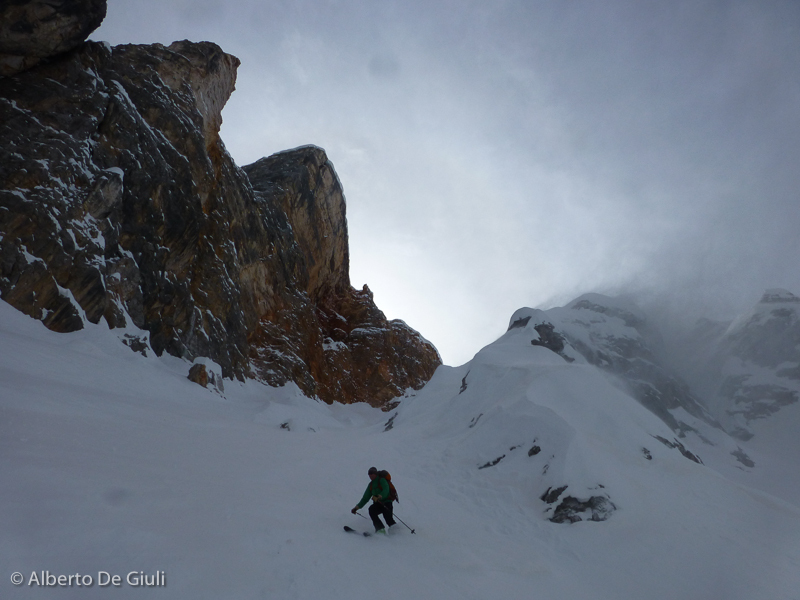 Day 1) Taxi transfer to Val Venegia (30 min),today we traverse Monte Mulaz (700m vertical gain with skins) for a long ski descent down the north side to Molino, a little hamlet in the ski resort of Falcade. 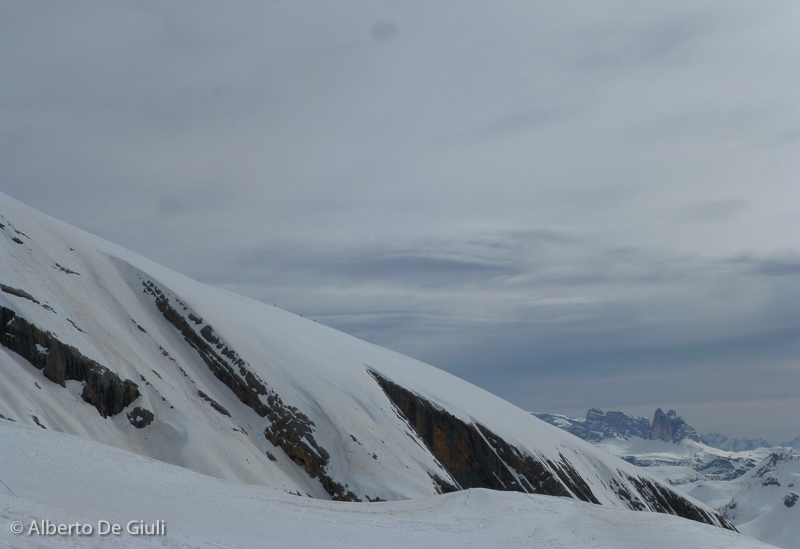 We spend the night in the charmy and beautiful Rifugio Fuciade (we get to the hut with skis or by taxi, depending on conditions and timing). 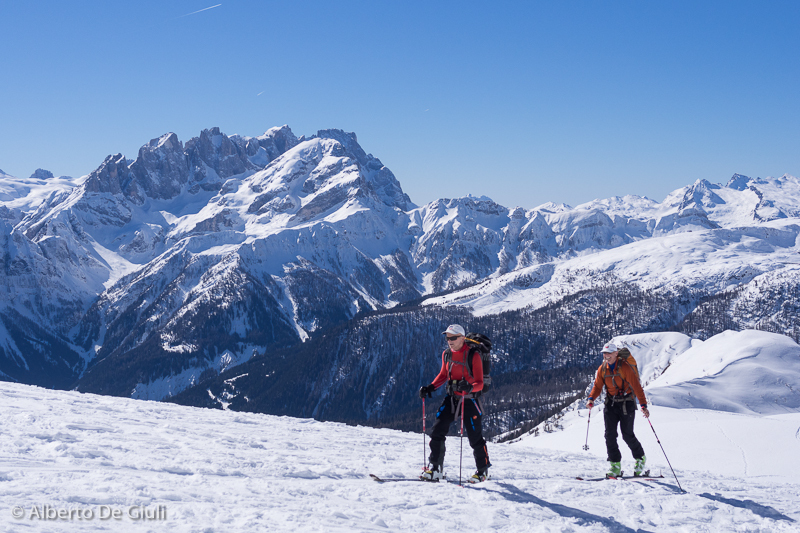 Day 2) Another ski touring morning, straight from the hut we skin accross Forca Rossa di San Pellegrino (500m vertical gain) to ski down the north side to Malga Ciapela, at the foot of Marmolada 3300m, the highest peak in the Dolomites. 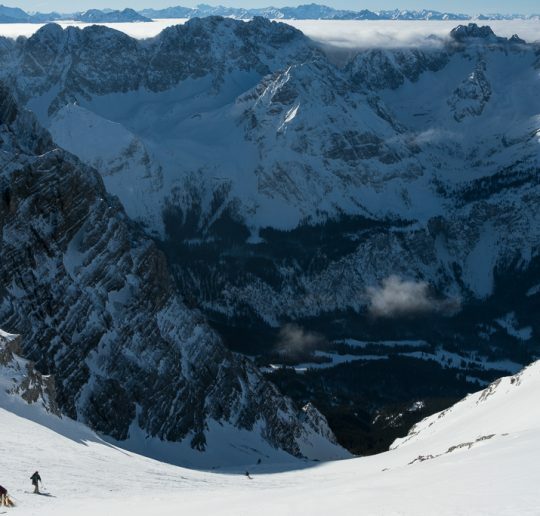 We spend the rest of the day skiing off-piste around the mountain, Rifugio Pian dei Fiacconi is our place for the night. 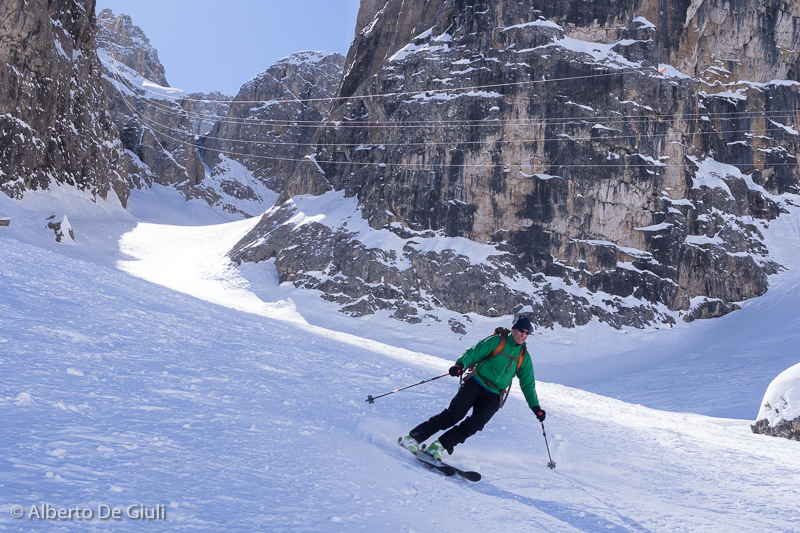 Day 3) Not so much hiking today as we get on the lifts to head towards Passo Pordoi. 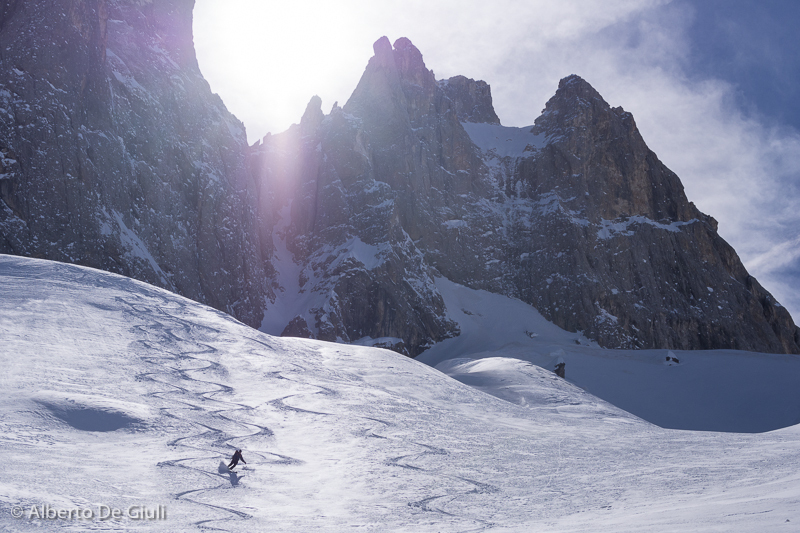 We traverse the Sella massif to ski down Val de Mesdì, one of the most famous off-piste in the Dolomites (it can be considered the Vallée Blanche of the Dolomites). 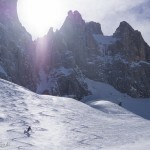 We spend the night in a B&B or Hotel in Alta Badia. 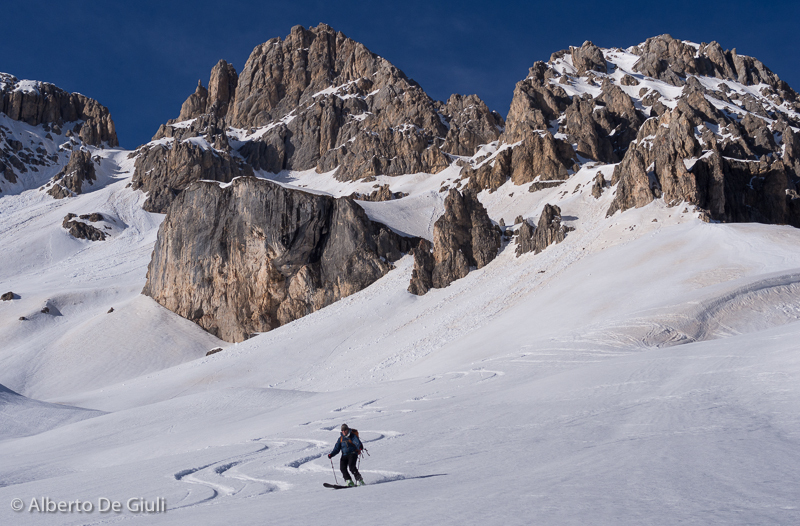 Day 4) A ski touring day, accross the Puez mountain range (vertical gain with skins 700m) for a long descent into the beautiful valley of Longiarù. 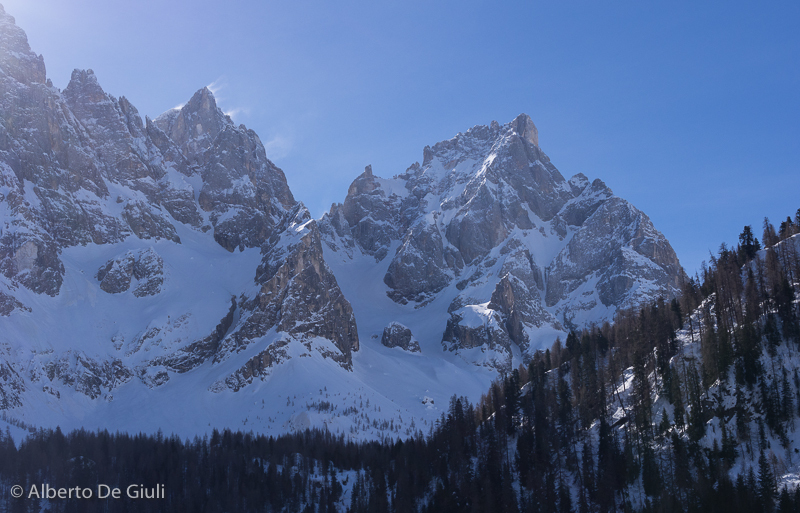 Taxi transfer to Pederù,in the Fanes-Sennes-Braies natural park (30min drive), we reach Rifugio Sennes for the night with the snow mobile. 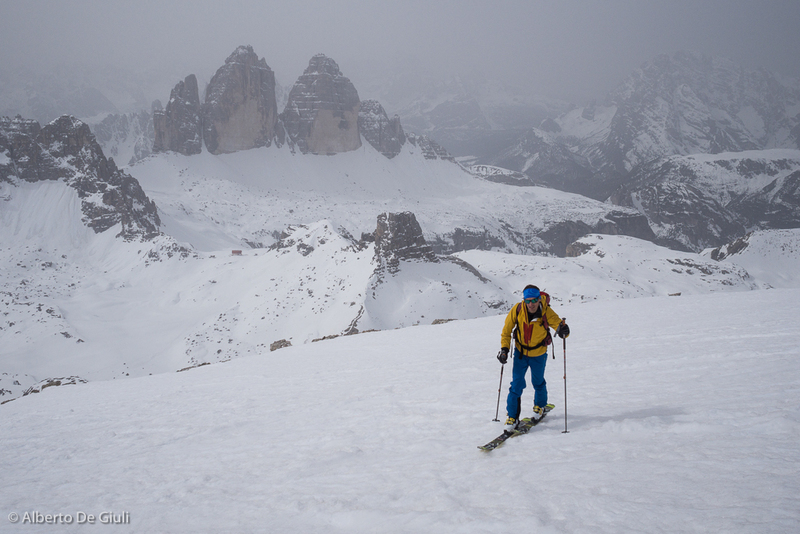 Day 6) The last day we climb up in between the Tre Cime di Lavaredo and we’ll ski down the little village of Sesto, Pusteria Valley. 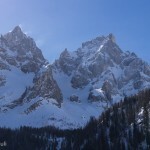 Taxi transfer to Cortina d’Ampezzo where we can finally celebrate the end of the trip. 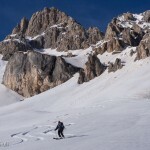 Day 1 – Corn snow on the way to Rifugio Fuciade. 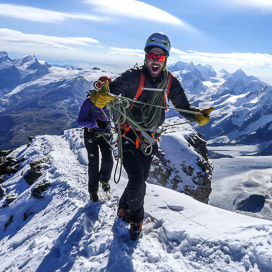 Day 2 – Forca Rossa Traverse. 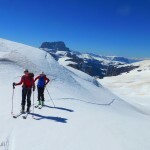 Day 3 – Traverse of the Sella Massif via Val Setus. 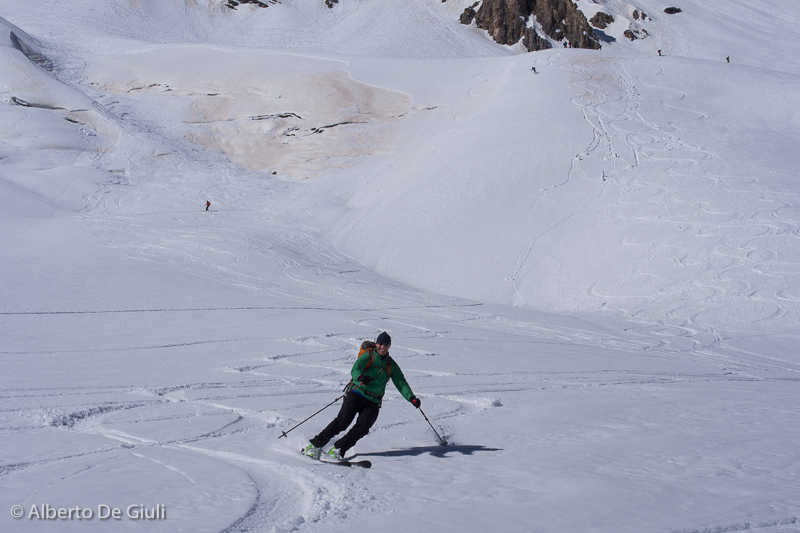 Day 3 – Ready for a sweet break. 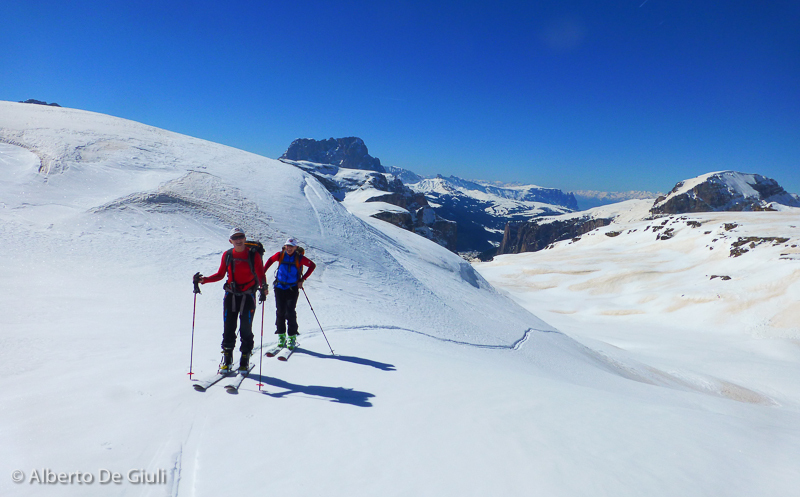 Day 5 – From Sennes to Lake Braies. 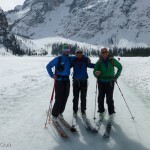 Day 5 – Lake Braies. 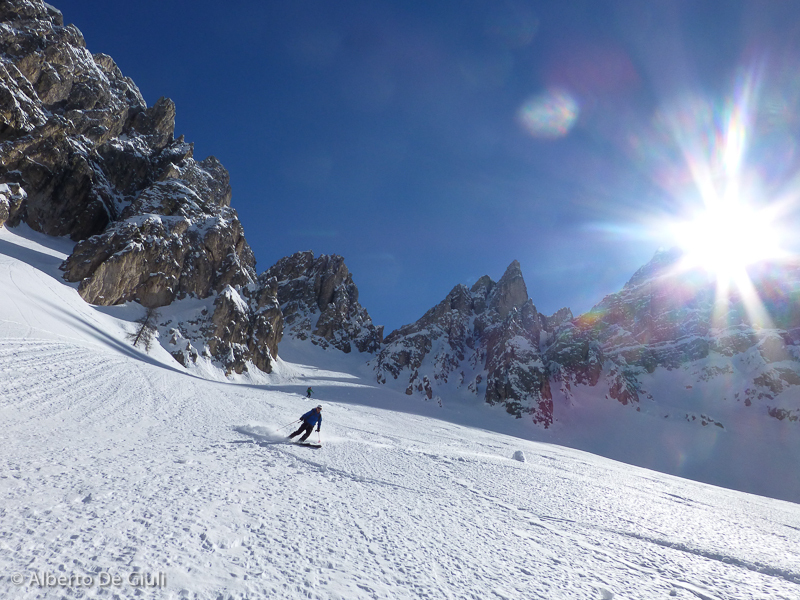 Skiing the Neue Welt on the Zugspitze. 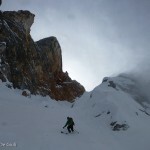 Off-piste week around St Anton, Arlberg.